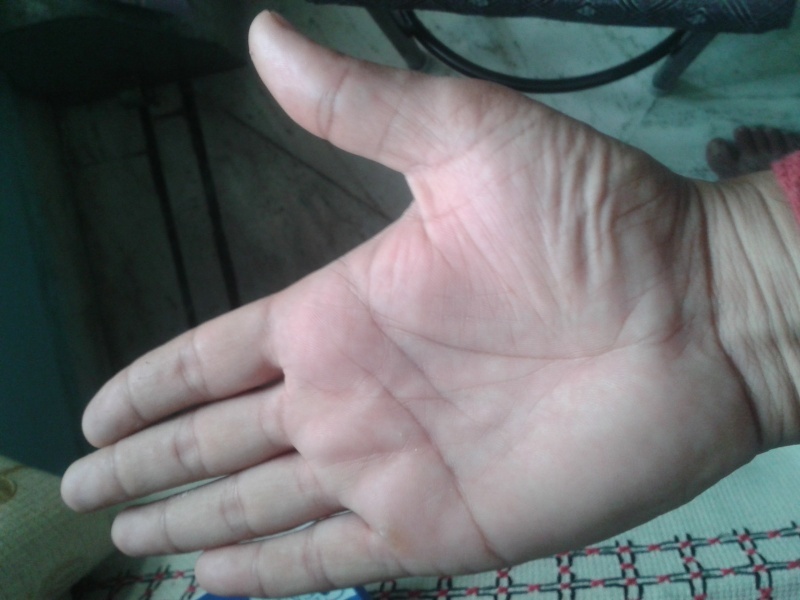 Neeraj kumar dob-25/04/1979 sitting job less since 16/06/2014 ,how much time will for new job? In this image also it looks like a positive change at 36/37 and new fate line starts from the head line at 40/41. All these indications are positive but they do not guarantee any job etc. They show that you will make efforts in that direction. Fate Line only acts as a catalysis. Without fate line you will have to work double hard. I met a young boy of 25 who had gone on a business conference from Mumbai to Jakarta and that requires spending over Rs.1,00,000/-. He had no fate line and looked happy and very successful in business. So whether the fate line is absent or weak or strong you have to work hard and put in your efforts and then you are bound to get success. I have met persons not having job for even upto 2 years or more. Very short thumb = lack of will-power. Resonate with you? To succeed will take much effort. Are you ready ?? 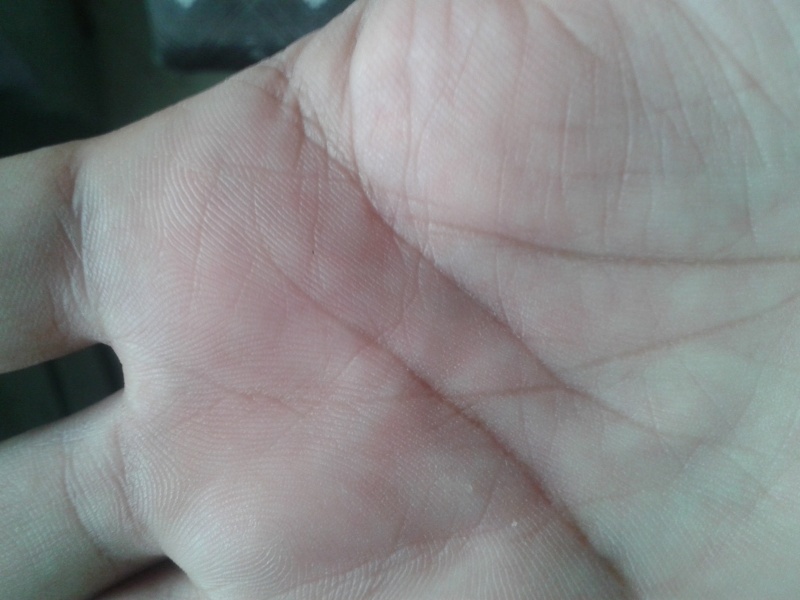 I have 2 equal marriage line and before few months ago one line come from moon and mate with fate line . pl suggest what it shows ? Cannot see any island on fate line. The reading given to anyperson is after considering interactions of various signs and then we comment. You are asking the meaning of each and every thing. 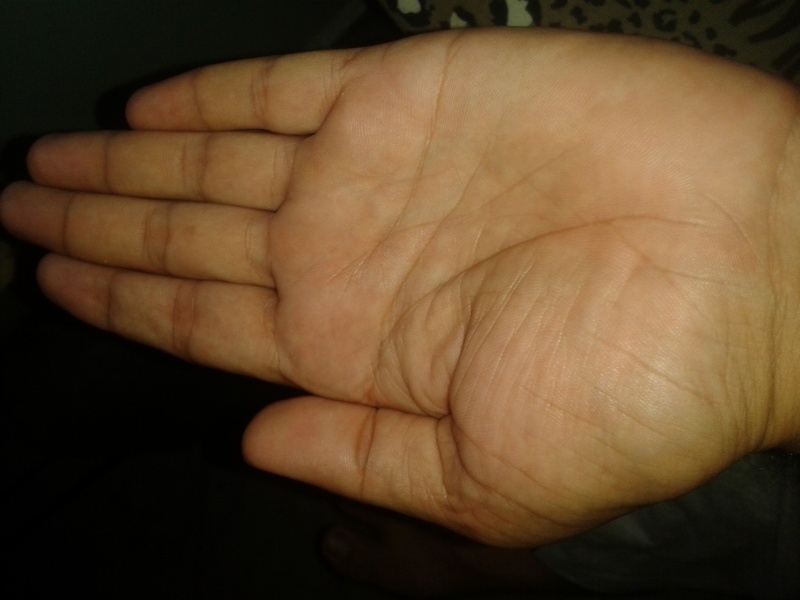 Just post a snap of the full palm with the thumb away from your palm. 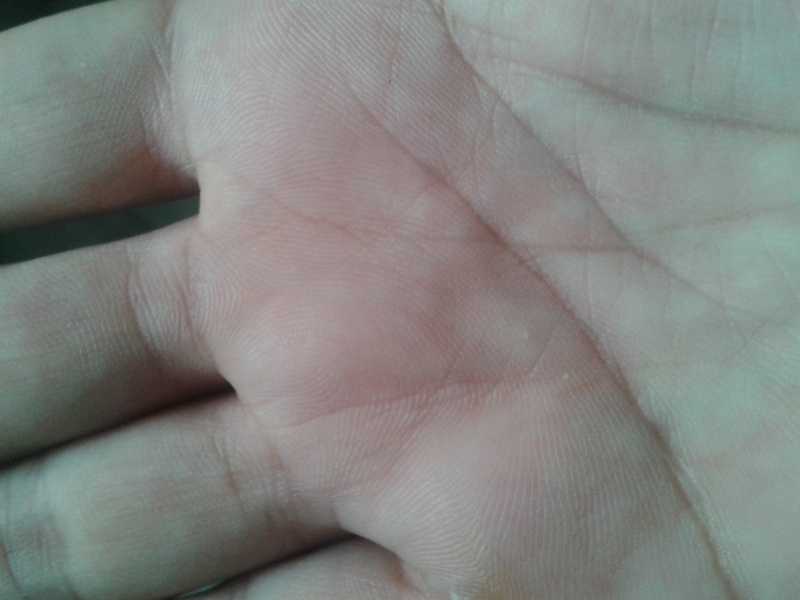 To me your thumb looks normal but the picture that you posted indicates that the thumb maybe short. 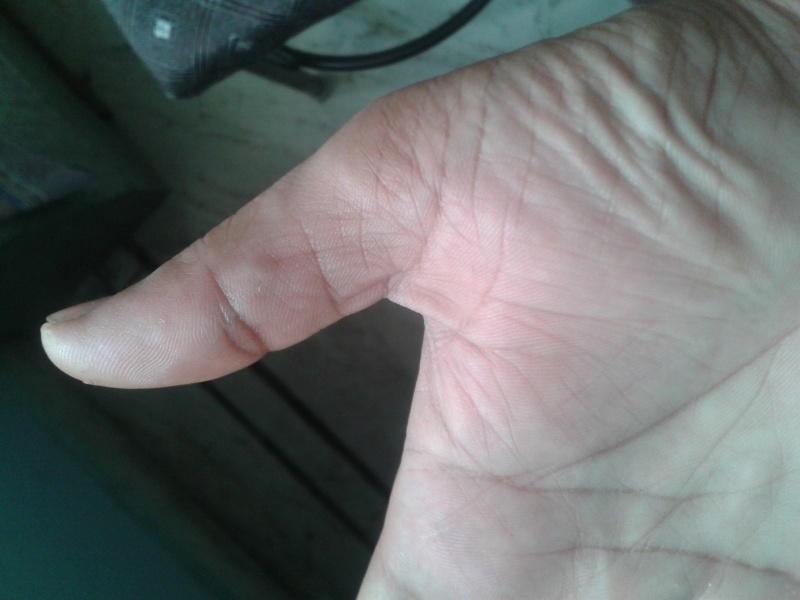 If you hold the thumb away from your palm I can measure it and see where it will end on the Jupitor Finger. Cannot see the relationship lines. 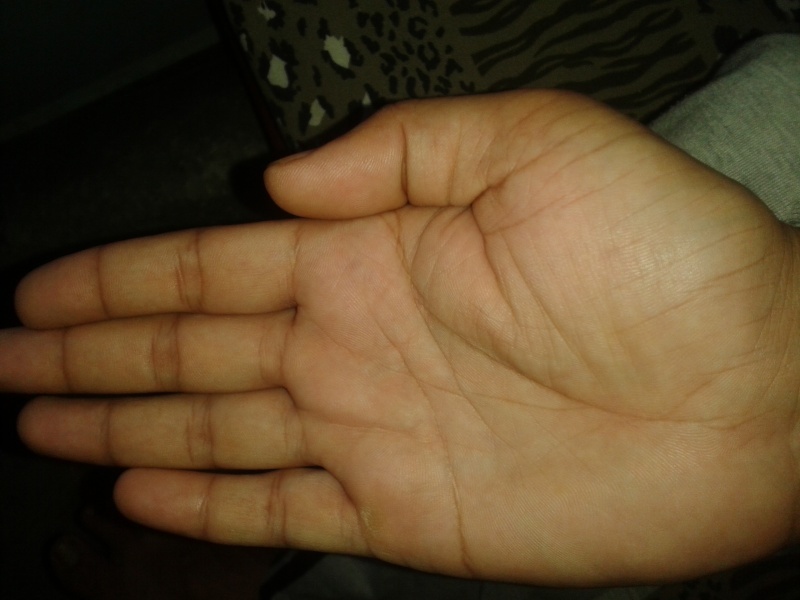 Post sideviews of the portion below the smallest finger. 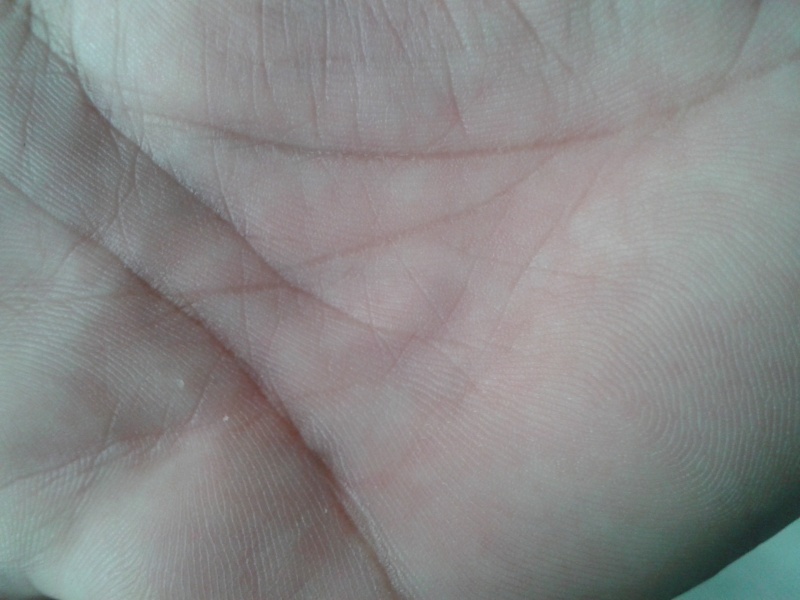 Secondly even the palm images are not sharp as I can hardly see a fate line coming from Mount of moon. As such it is overlapping line. But not working as overlapping. Another approach of looking at it. One is terminating at head line and the other starting as throw of head line (like influence line). Calculate distance on head line. If gap is more than a year, this theory holds true. Did you plan any thing better before end of job? Since you gave birth day, I can use noon chart. Mar is afflicted by Pluto in noon chart- right now talking Western Astrology. This affliction is afflicted by Uranus in transit and that clears in mid 2016. If you have carrier related issues continuing, then that is what happening in chart. I think, you need to put more effort and be careful while putting effort, because Mars is weak in above scenario. You will have to work harder for 2/3 years and then your future is very bright. Fate Line is present but it is dim. Congratulations on the birth of your 2nd baby daughter!